I’ve been meaning to write about the crazy shenanigans that went down at Dragon*Con ever since I got home on Monday, but alas, said plans have been thwarted each and every day by a menagerie of evil-doings. First of all, and much to my horror, I have apparently contracted the “Con Crud.” I know, could they have devised a more disgusting name?? Just saying it makes me feel worse. I had never been exposed to so many nerds at one time, so I guess my body had no immunity to the nerdy germs of over 40,000 con-goers. (Note: everyone there was a proud, self-proclaimed nerd, so I shouldn’t be offending anyone with my liberal use of the term.) The runny nose, sore throat and throbbing headache have obstructed my ability to form coherent sentences thus far. Before that however, my arms and shoulders were out of commission as a result of having to carry my very large and very heavy luggage down 17 flights of stairs. Let me explain…we stayed in the Hyatt, which was sort of the central hubbub of the entire event and needless to say, it was insanely crowded. You could easily wait 20-30 minutes for an elevator and when you finally did get one, it was so full that you were most uncomfortably up close and personal with those around you. Those nerds were fearless too, because they would pack into the elevator to the point that the safety buzzer would sound (over the weight limit) and of course, there would inevitably be some drunk person who would start jumping up and down and exclaim “we’re gonna die!” Yeah, I have a touch of claustrophobia, so as of Saturday, I started taking the stairs. We were staying on the 17th floor. I managed pretty well, with the exception of Saturday night and Monday afternoon. Saturday night we went to the Georgia Aquarium. In costume, of course. 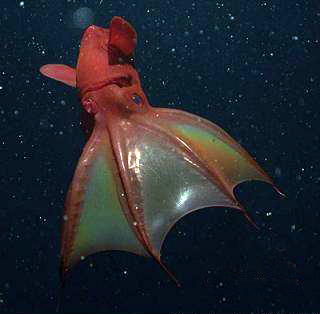 I was all gussied-up in my vampire squid costume and 3 inch heels. By the time we got back to the hotel, my feet were pretty much killing me since I don’t wear heels on a regular basis. I debated whether or not to venture back out into the crowds in said heels and eventually decided to give it a go for the sake of looking cute in any photos that might be taken. Well, I made it down the 17 flights of stairs, through the hotel, and to the top of another set of stairs leading to the street when I faced the reality that there was no way I’d survive the rest of the night in those shoes. I made the decision to turn back alone, face the crowds and venture back to the room. This was a daunting task, mind you. And I’ll admit, I had had a few beers so I was teetering a bit already. This decision turned out to be a very bad one, as by the time I reached the stairwell, there was a steady flow of people moving up the stairs at an alarming speed. I was somehow swept into the stream and found myself practically jogging in order to keep up. Pain. Oh, the pain. Why didn’t I just stop and squeeze into the corner and hobble up the stairs at my own decrepid pace? I don’t know. I think I told myself to just push through it and get it over with as soon as possible. Anyhoo, there was a nice young man behind me who exclaimed “How are you running up these stairs in those heels? !” He then asked me what floor I was on and upon hearing the 17th, he declared himself my “stair buddy” because he was seriously worried that I was going to fall out. Thank goodness for my stair buddy, because by the time we made it to the 17th floor, he literally had to hold me up to get me to my room. It was rough. It wasn’t as rough as Monday afternoon though, when after waiting over 30 minutes for an elevator space big enough to accommodate myself and my luggage, I made the foolish decision to just carry it down the stairs. You see, the back stairwells had not been cleaned the entire weekend and by the end of the convention, the stairs were riddled with vomit, broken glass and puddles of sticky liquid at every turn. I have new luggage that is zebra print on the outside and silky purple on the inside (I’m sort of in love with it) and I didn’t want it touching that floor. So I carried it down. Big mistake. I used muscles that I don’t think have ever been used before. On Tuesday, my neck, shoulder, and arm muscles were so sore that it literally hurt to be wearing a shirt, much less typing on a computer. I was pleasantly surprised to discover a large number of men in kilts at the convention. I don’t know why, but since it’s best not to question a good thing, I just enjoyed the view :) As is the yearly tradition at Dragon*Con, Jenny from TheDevilsPanties.com rounded up all the (willing) men in kilts for a good old-fashioned kiltblowing! She sets up a stage with lighting and photography equipment and when each kilted man graces the stage, she blows up their kilt with a leaf blower! I know what you’re thinking, and I agree…it’s a genius idea! It’s not nearly as dirty as it sounds however; she made it perfectly clear at the beginning that this is not a pornographic event and she kindly asked the men to hold their kilts down in the front to prevent any unnecessary exposure. Most of them cooperated, but of course there were a few who were all too willing to flash the crowd and bare it all (and a few who accidentally bared it all!). Personally, I found this particular event to be utterly entertaining and quite possibly one of the funniest things I’ve seen in a while. Oh, and Laurell K. Hamilton was present at the kiltblowing and she got up on stage to “get blown” as well. I’m not sure what this guy is, but his costume was most creative! There were creepy costumes too, like this one (no one seems to know what it is) and we did see a few Furries as well. While waiting for our table at Trader Vics, we befriended this zombie Superman. Here I am, innocently giving him a hug, when little did I know, his suit was…er…let’s just say that it was WAY too revealing in the frontal region. I suppose I never looked below his belt until Rachel showed me the full-body photo of us and I was most appalled to discover what was going on down there! Of course, that wasn’t nearly as creepy as this old man that we saw outside on the street. We tried to discreetly get a photo of him, so Rachel used me as decoy. I’m pretty sure that he’s wearing a girl’s skirt (which is obviously waaaaaaaaay too short and revealing) and what makes this so incredibly frightening is that I don’t think he’s wearing it as a costume. There’s always a few bad apples in the bunch, I suppose. I sat in on three True Blood panels with Sam (Sam Trammell), Pam (Kristin Bauer), Lafayette (Nelsan Ellis), and Maryann (Michelle Forbes). While I was very disappointed that Alexander Skarsgard wasn’t there, I did get to hear lots of stories about him. They didn’t divulge any juicy secrets about the up-coming finale or season 4, but it was interesting to see them in person. Sam was the most entertaining, he was very charming and in my opinion, much better looking in real life than he is on-screen. My friends (and even my Mom) always dither about whether Sam is hot or not, but after seeing him at Dragon*Con, I conclude the verdict to be hot. Well, that pretty much concludes the summary of my first Dragon*Con experience. The last-minute cancellations of the Fringe panel and Paul Wesley from The Vampire Diaries were very disappointing, but I came away with some good memories all the same. It was wonderful to meet Greggo! And I got my book signed by Herself! Haven’t yet decided if I’ll ever make it back, but I have plenty of amazing costume ideas floating around in my head if I do! It’s official: I am going to Dragon*Con. What else is official? I have crossed that invisible line and reached a whole new level of nerdiness. I might just be the nerdiest person you know. I’ve been listening to Rachel’s tales of Dragon*Con shenanigans for years now. While I always thought it sounded amazing, I guess I assumed that my lack of interest in Star Trek or Battlestar Galactica would prevent my acceptance at such an event. I had visions of Klingons and Storm Troopers shunning me or forcibly removing me from the premises after finding out that I’ve never actually been able to sit through Star Wars from beginning to end (much to my husband’s chagrin). Well, that still remains to be seen, but all hesitation and insecurities ceased to exist when I found out that DIANA GABALDON is going to be there! I was already planning on making a Claire Fraser costume and taking pictures (yep, I’m awesome like that), so when I discovered that she was going to be at Dragon*Con promoting the new Outlander graphic novel only days after discussing the possibility of going this year with Rachel, I took it as a sign that my nerd level far exceeded the requirement and that I absolutely had to be there. I always have great ideas when it comes to costumes, unfortunately I have a little procrastination problem that usually gets the best of me. I want to post updates of my progress that will hopefully keep me motivated to get everything done in a timely fashion and keep the stress level at a minimum . Does anyone remember me being up all night -with a needle and thread in one hand and a glass of wine in the other – on the eve of my wedding day, trying to finish up all the bridesmaid dresses? Yeah, I’d like to avoid that if at all possible.